CDAC is pleased to announce the addition of eight new academic partner groups. This addition brings to 19 the number of academic partners supporting graduate student research in high pressure materials science by CDAC. 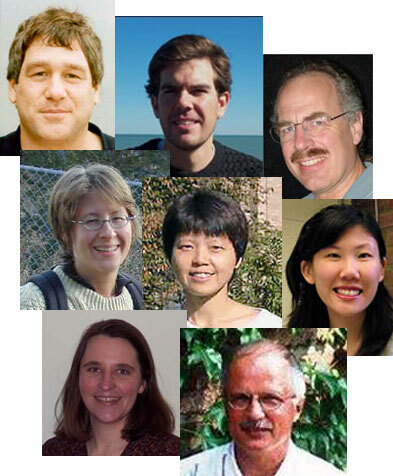 Graduate students will be supported in groups led by: Robert Downs (University of Arizona), Steven Jacobsen (Northwestern University), Raymond Jeanloz (University of California-Berkeley), Abby Kavner (University of California-Los Angeles), Jie Li (University of Illinois), Wendy Mao (Stanford University), Wendy Panero (Ohio State University) and James Schilling (Washington University-St. Louis). With the addition of our new academic partners, the total number of graduate students receiving support through CDAC for work toward the PhD degree will increase to 25 students per year. Follow this link for more information on the work of CDAC academic partners.